April 27th is our final day of the Black History exhibit “Hearts & Hands” that explores the history of African-American community service in Wayne County. To celebrate this final day of the exhibit, a group featured in the show, the amazing “A Drummer’s World” drumline will be performing outside the Museum at 4:00 PM and local artist Maxamillion Mozingo will be hosting a “Great Figures in Black History” painting event upstairs in our ballroom from 5:00 – 7:00 PM. Check his Facebook event page, https://www.facebook.com/events/303048633712465/, for more information or call the museum at 919.734.5023. 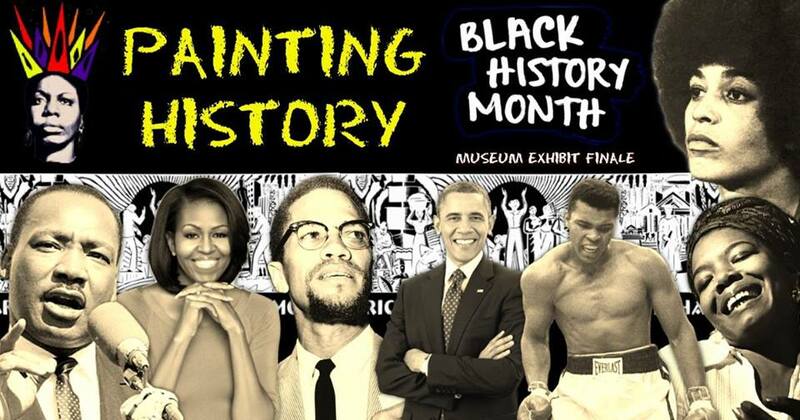 Join us for a great evening of Painting and Culture as we celebrate Black History & the finale of the Great Black History Exhibit @ The Wayne County Museum. And Dont Miss The Special Performance by : A Drummer’s World @ 4pm.